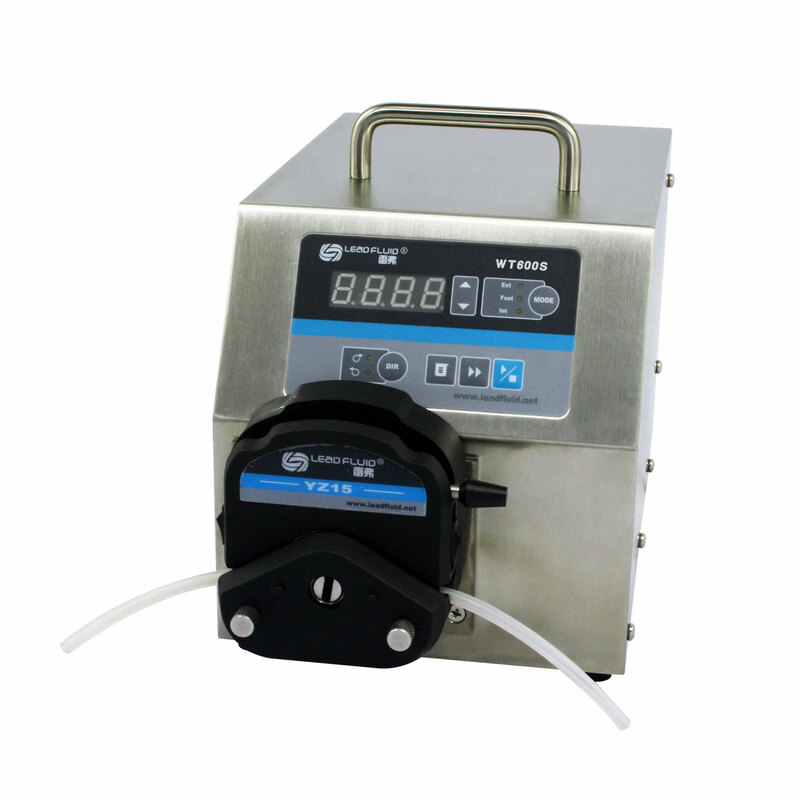 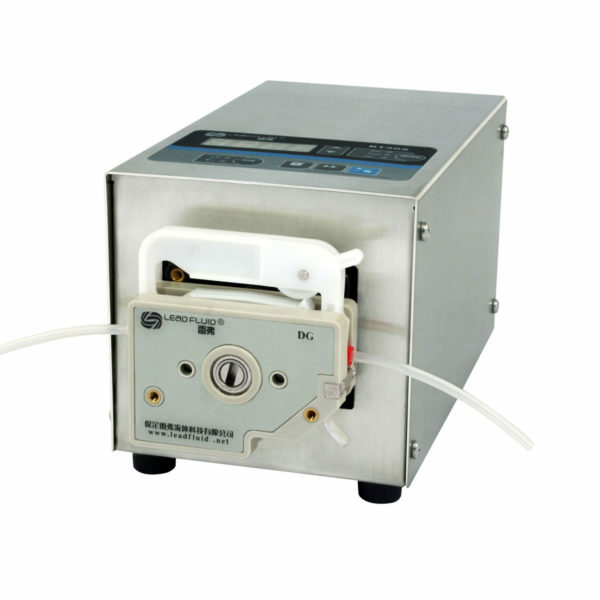 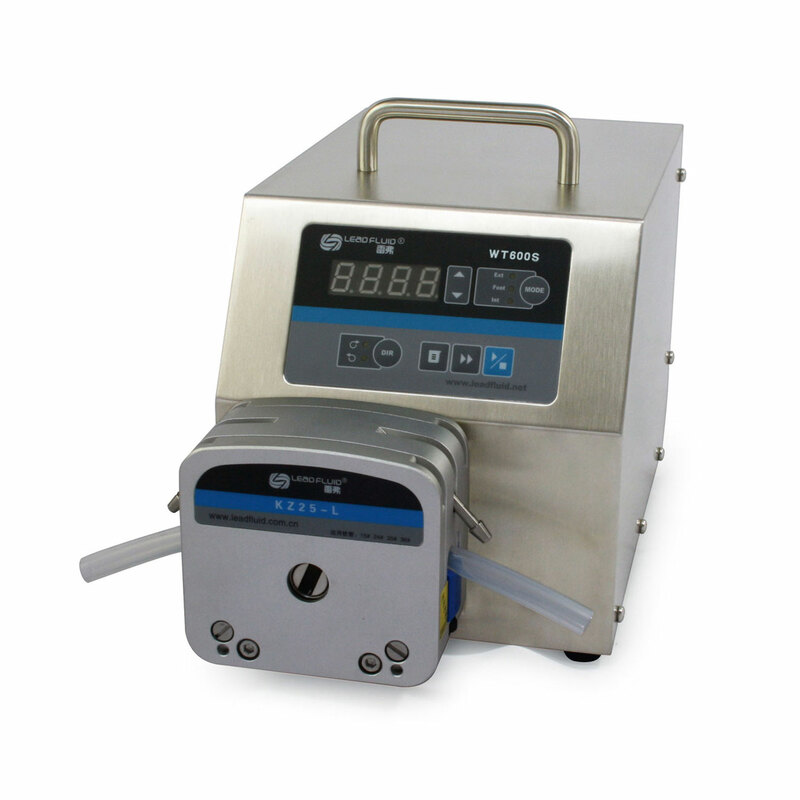 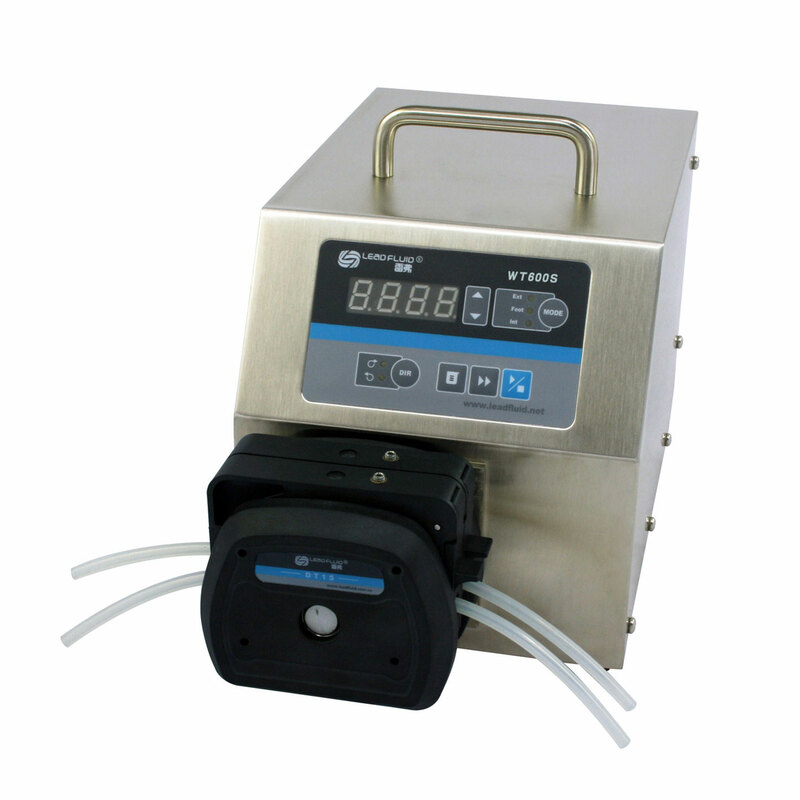 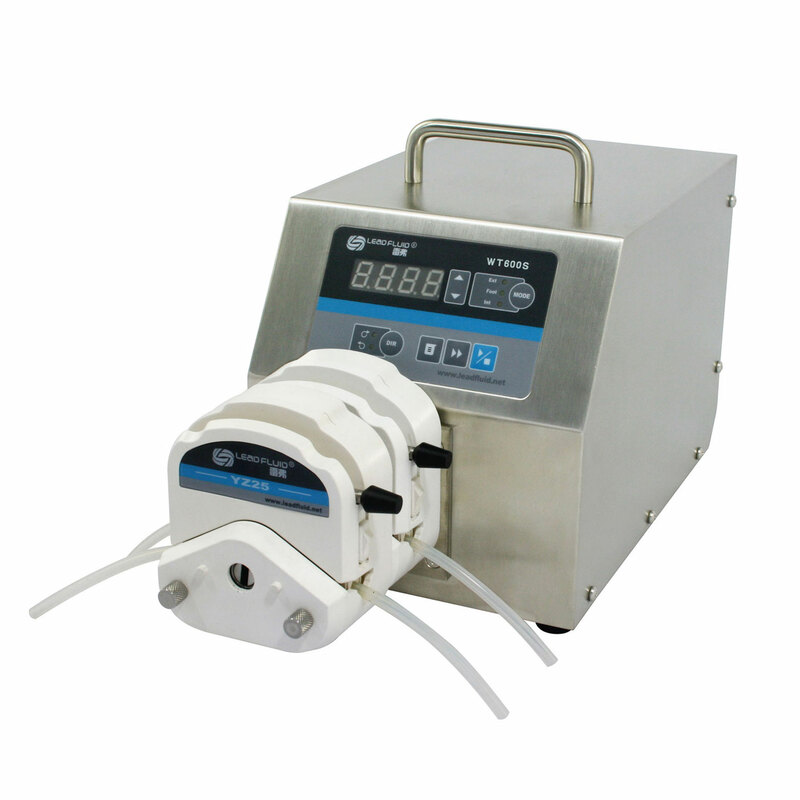 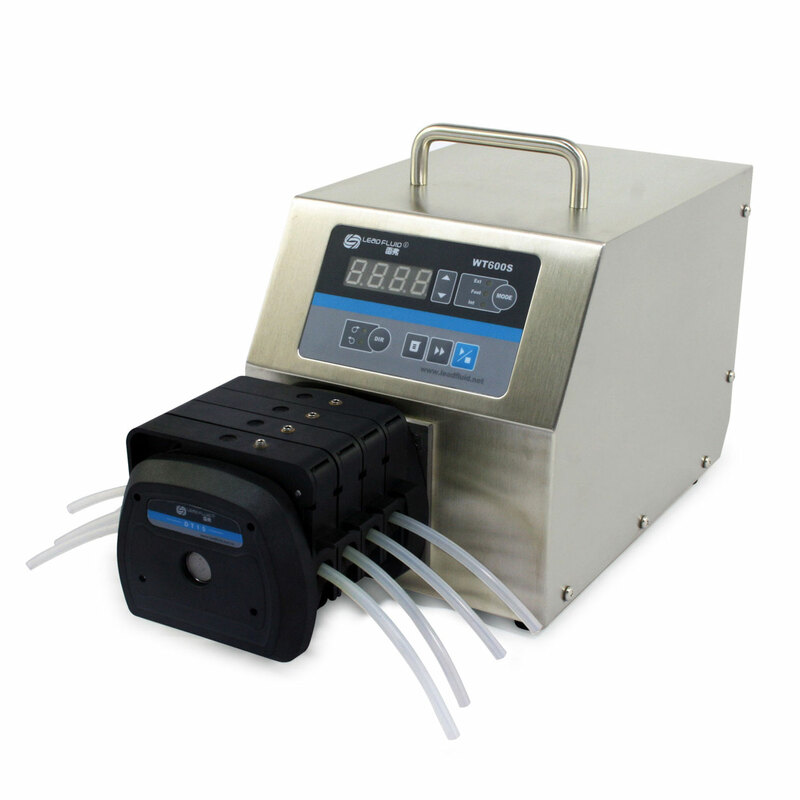 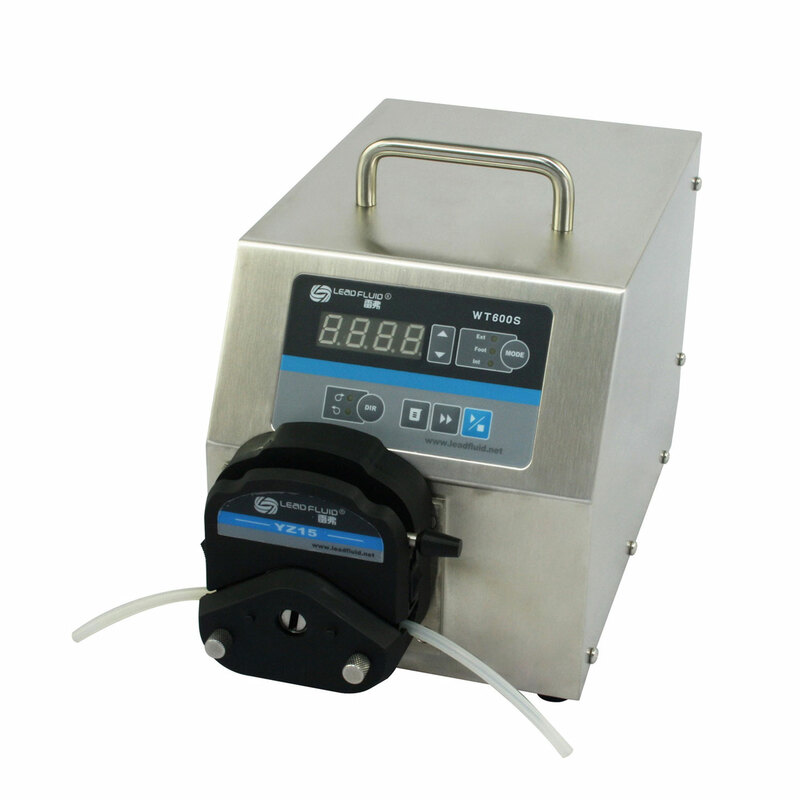 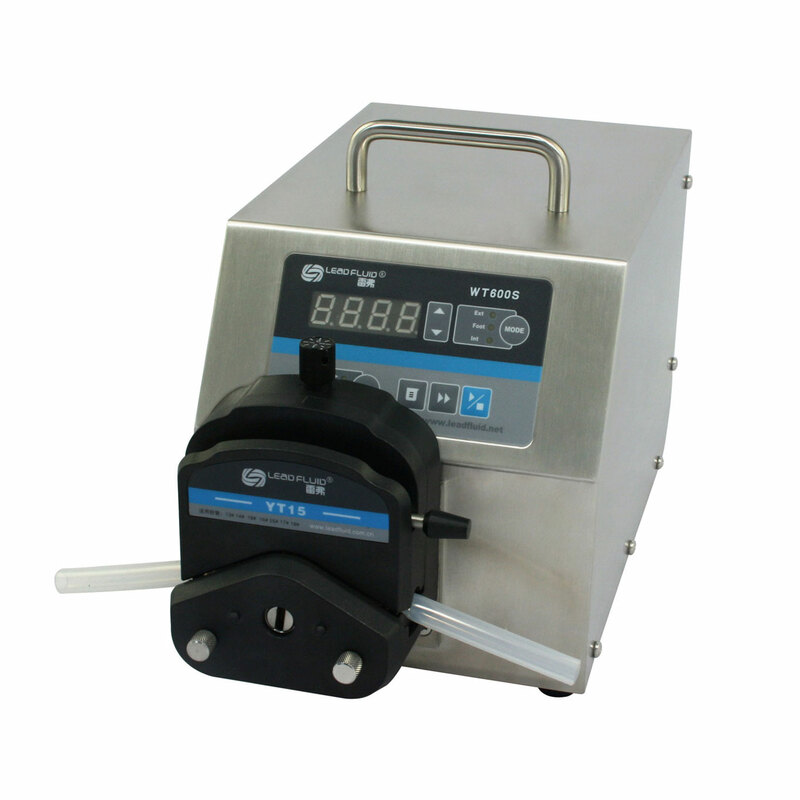 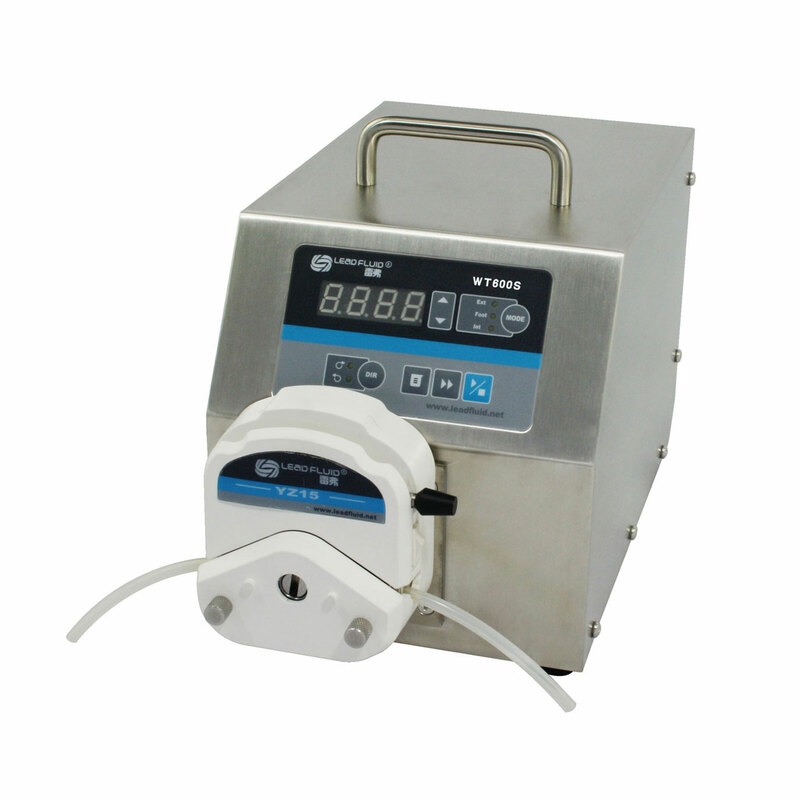 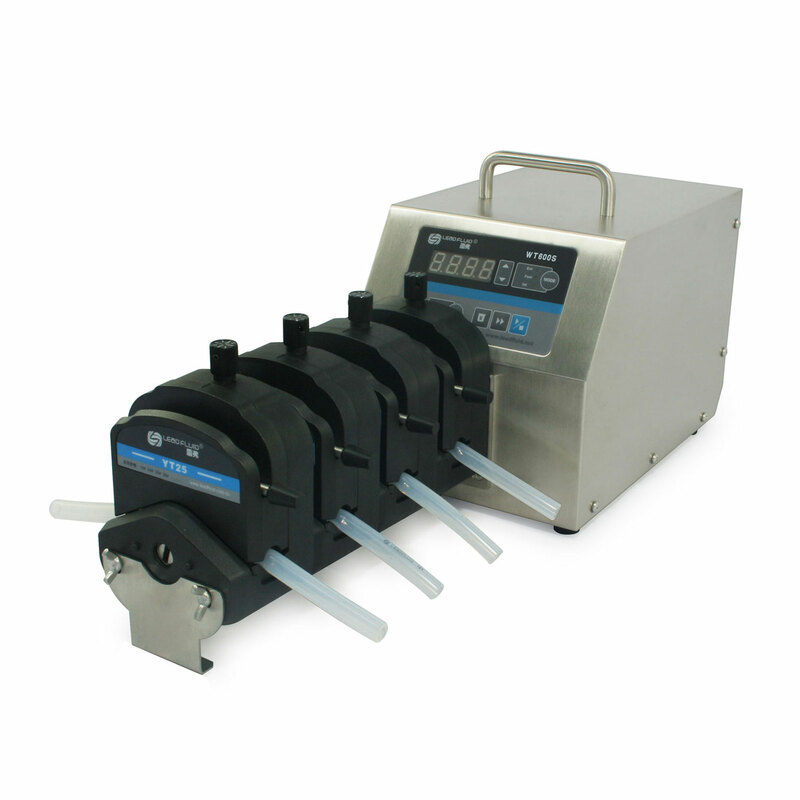 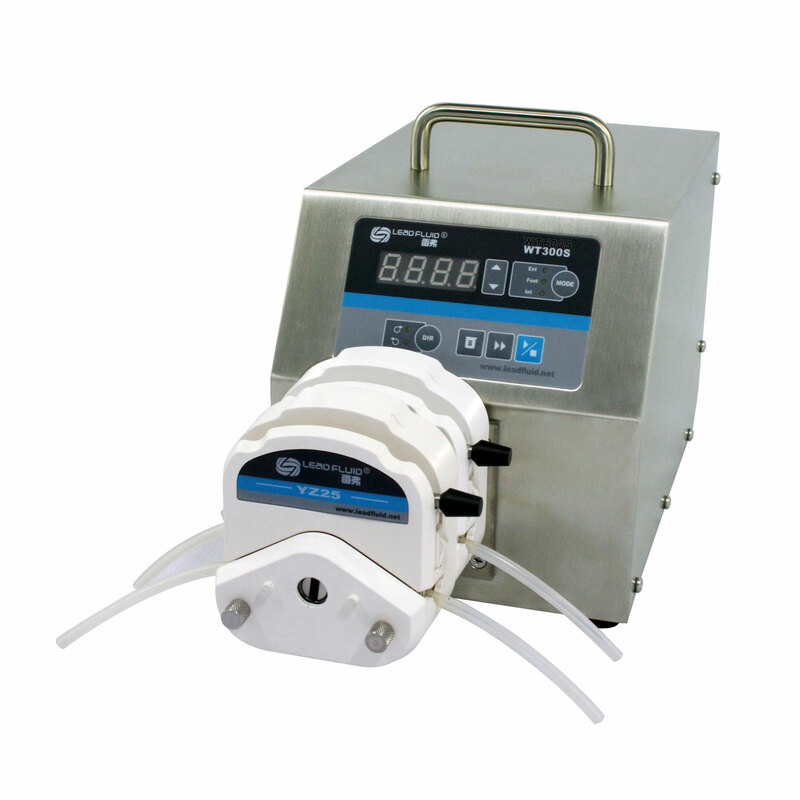 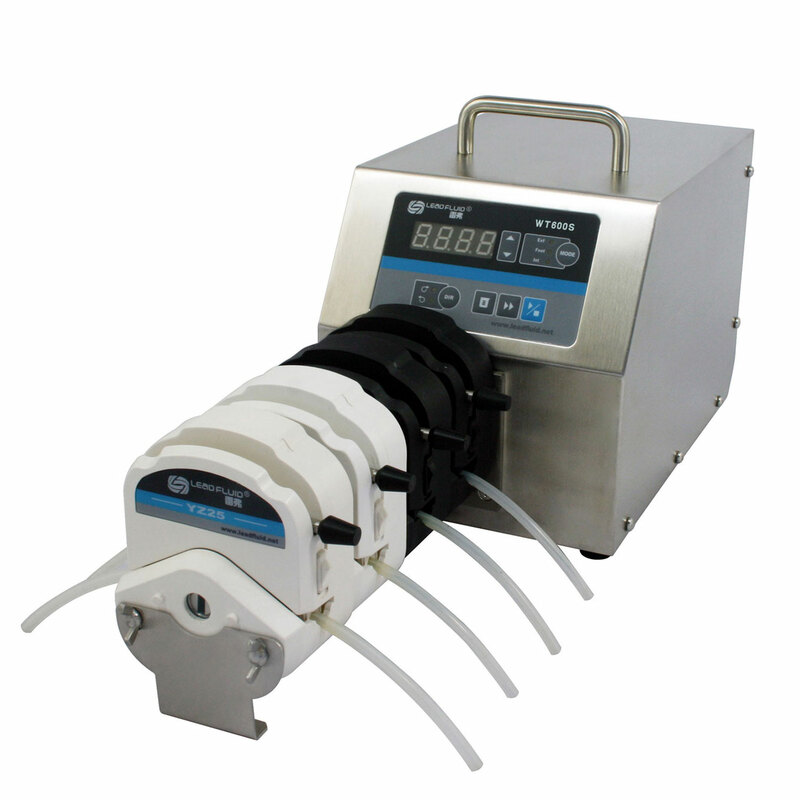 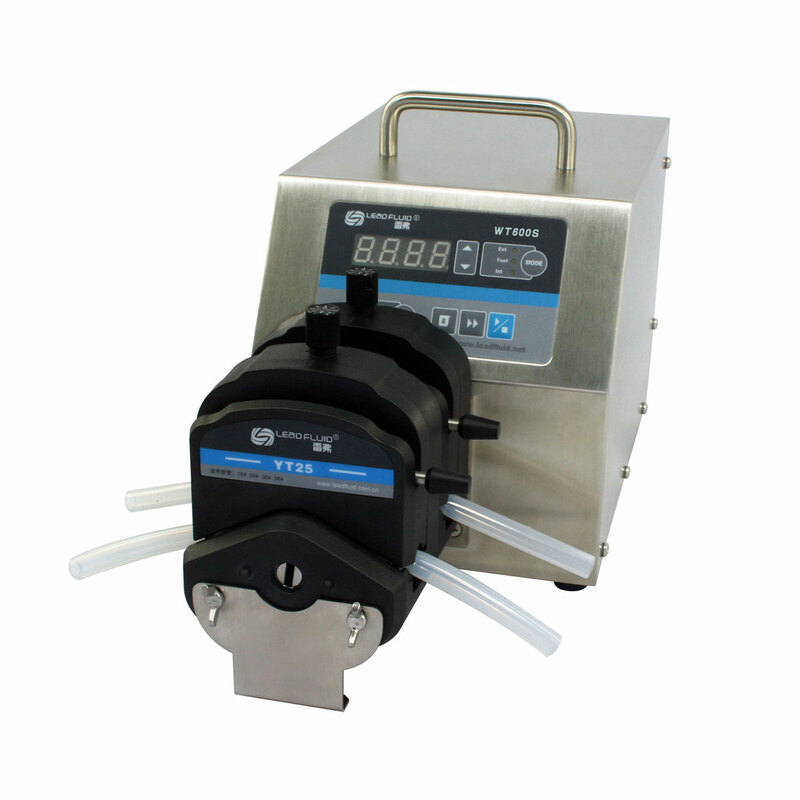 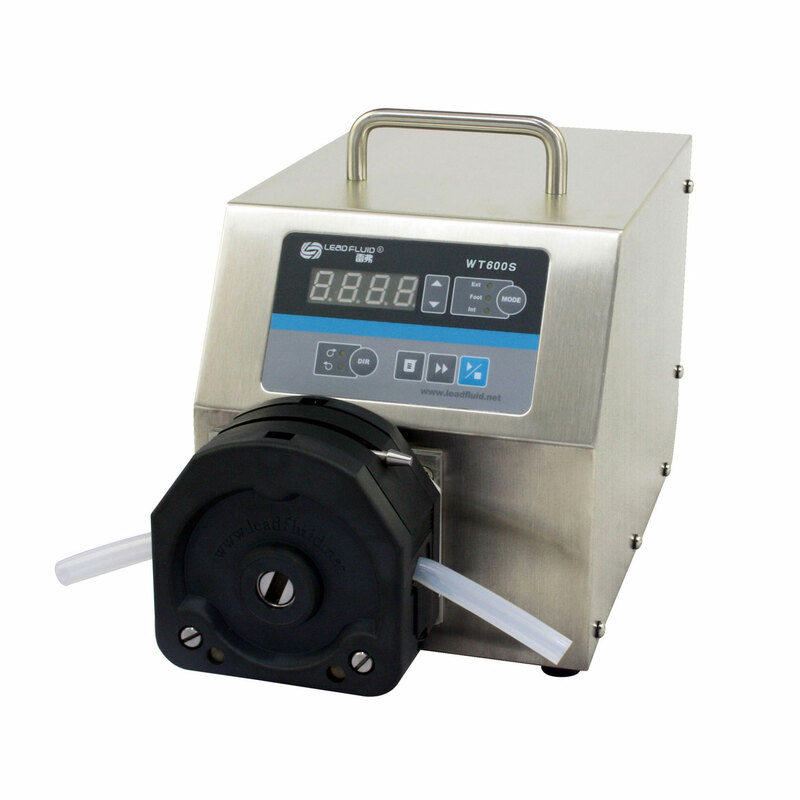 WT600S basic variable speed peristaltic pump provides flow rate from 3 to 6000mL/min. 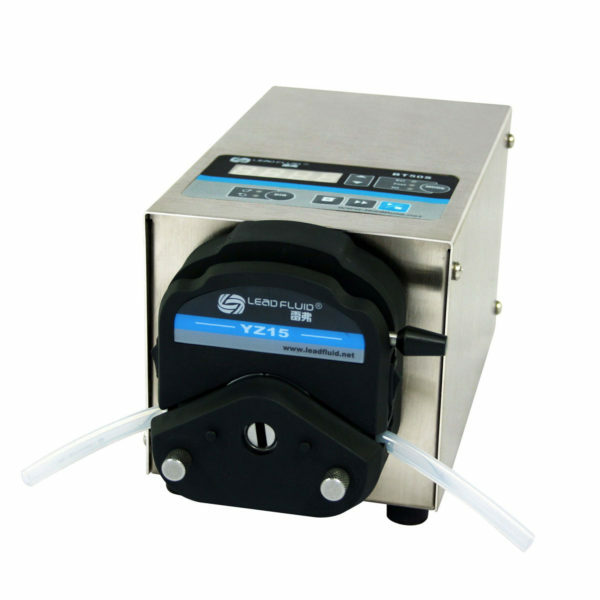 The large torque DC brushless motor drive is no maintenance required, and it can drive up to four pump heads. 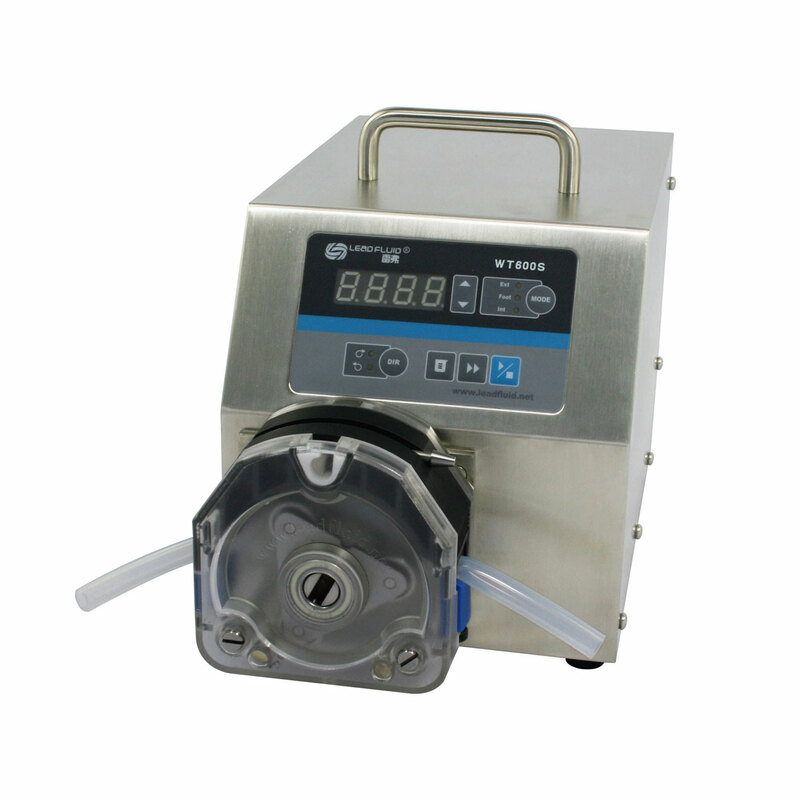 It has basic functions such as reversible direction, start/stop, full speed (for fast cleaning), adjustable speed. 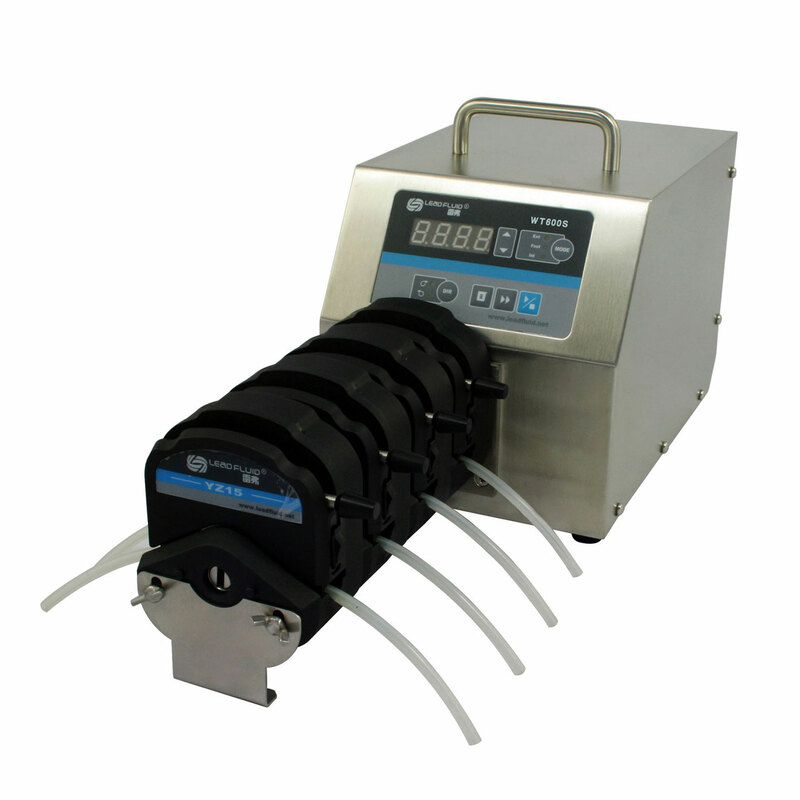 The basic dispensing function can easily repeat liquid dispensing by time or volume. 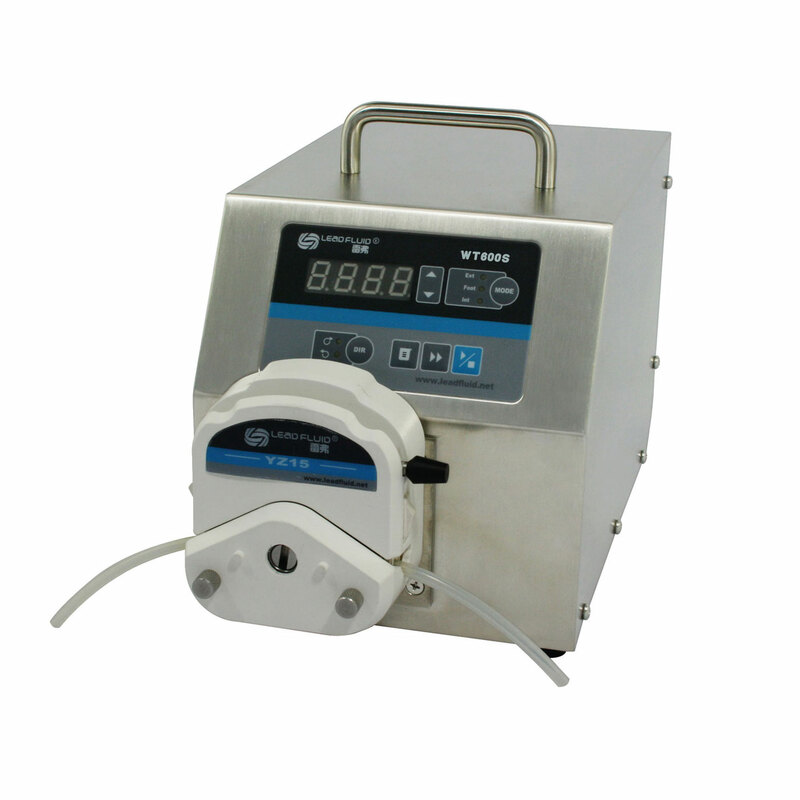 With MODBUS RS485 interface, the pump is easy to be controlled by external device, such as computer, human machine interface or PLC. 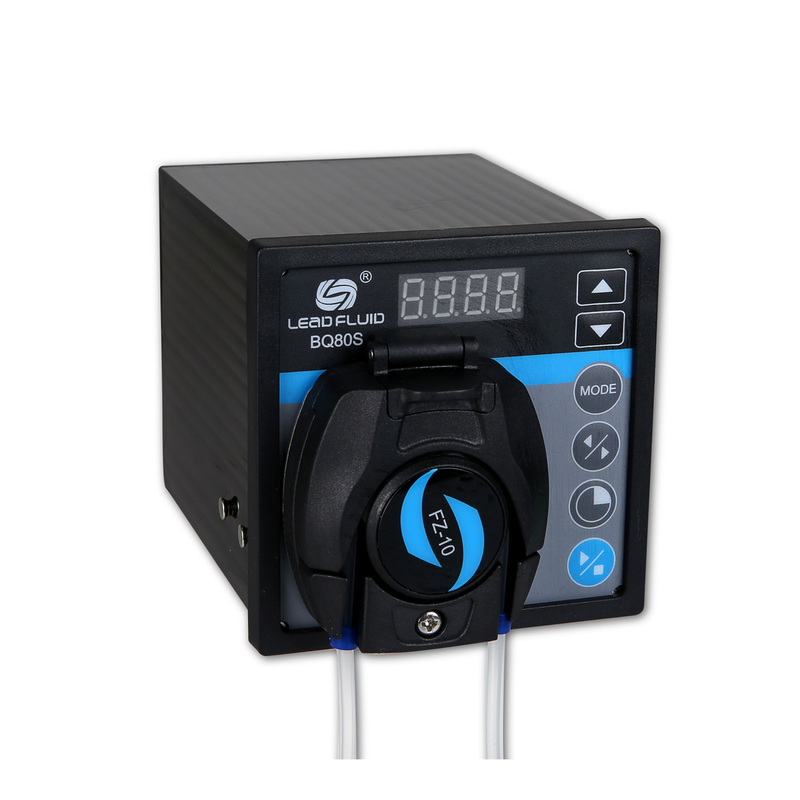 The LED indicator shows the working mode: internal control, external control or footswitch. 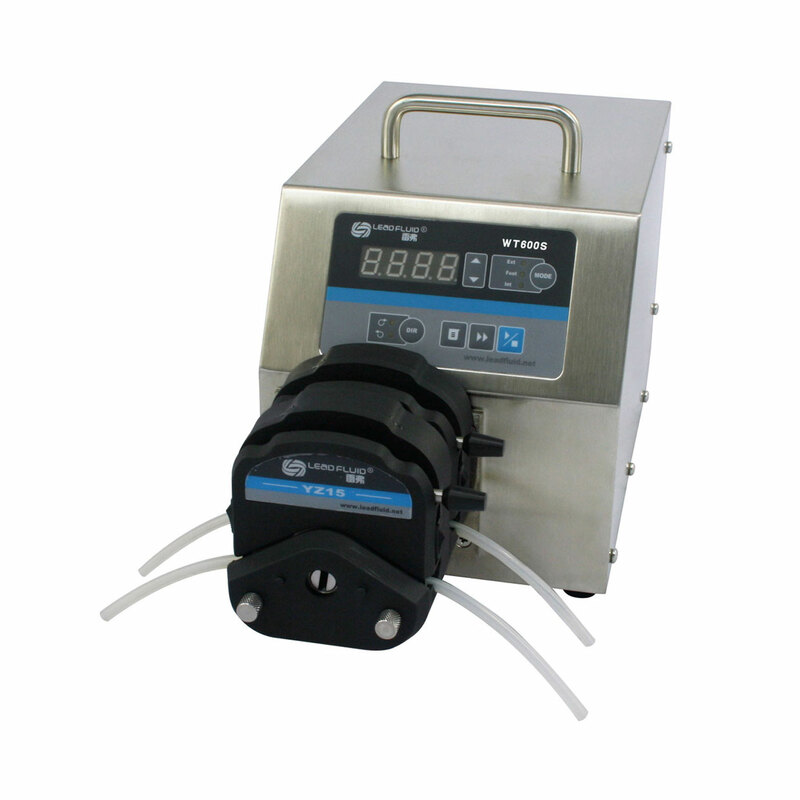 Reversible direction, start/stop, adjust speed and full speed, state memory (power-off memory). 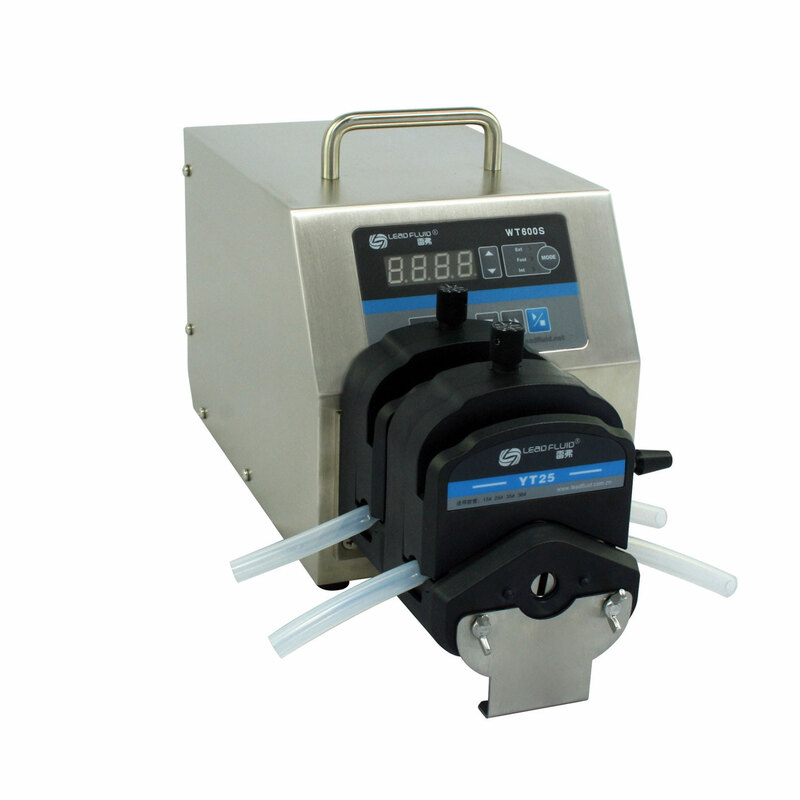 Easy dispensing functions, it can repeat timing quantitative fluid dispensing. 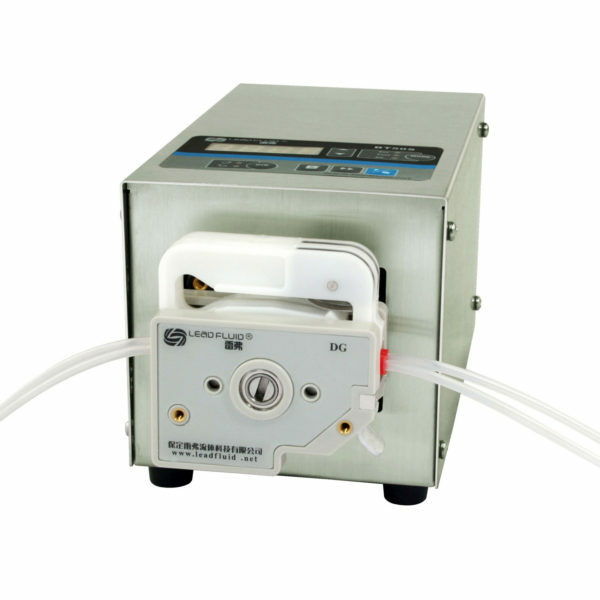 Stainless steel housing, easy to clean, excellent resistance to the corrosion of the acid ,alkali ,sodium and the organic solvents. 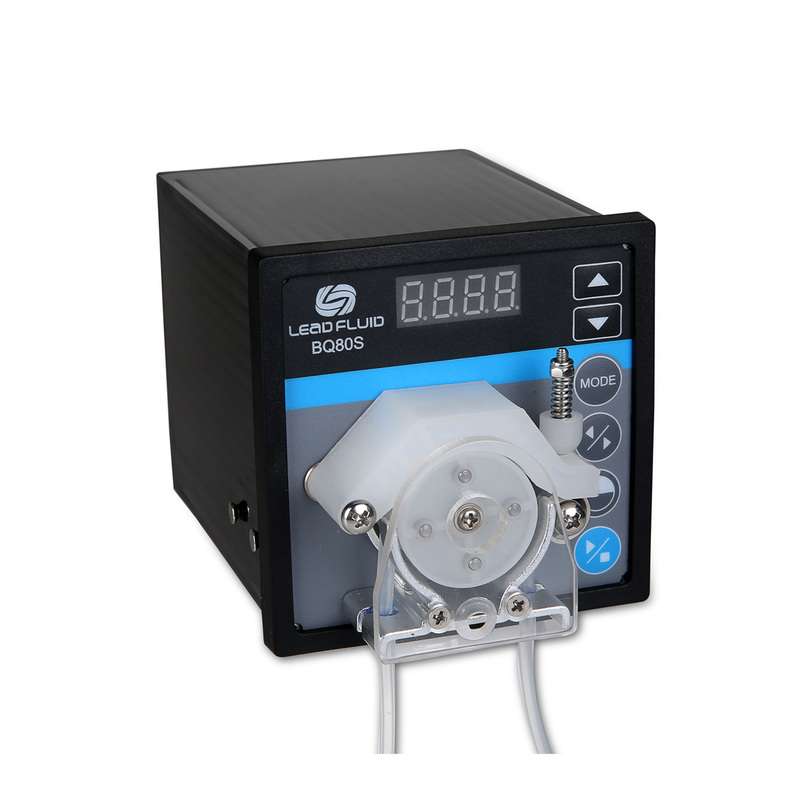 External high –low electrical level controls the start/stop, reversible direction and easy dispensing function, optically coupled isolator; external analog adjusts the rotate speed. 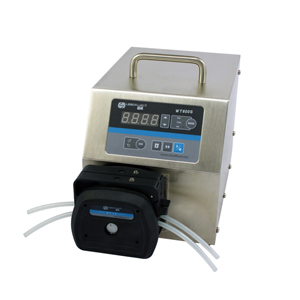 RS485 interface, MODBUS protocol is available ,easy to connect with external device.